Does the TV Rule Your Family? 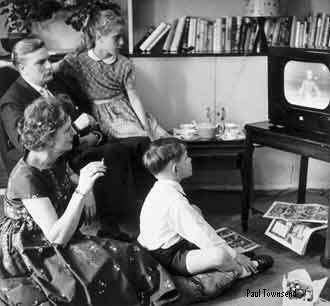 How much time does your family spend sitting in front of the television? Kids who spend more than 2 hours per day watching television or playing video games are much more likely to be overweight or obese. Even more than kids who don’t get enough daily moderate to vigorous physical activity. Couple that with the fact that families who eat dinner together at the table without tv are less likely to have children with weight problems and we have a definite recommendation. Turn off the television and spend some quality family time together. What a fantastic time to find out about your children’s day!